Congratulations to the Stoddard Show! You are the winner of last week's giveaway! Email me asap with your design goodie preference and we will get started. Now, for the final installment of our Giveaway in May event! is doing them justice, for sure! They are the giveaway finale, so do not miss out! Check out their website and blog to browse for your favorite version. Leave a comment and enter to win. This is DARLING! I can't think of anyone this wouldn't look cute on. Love it! They have the CUTEST headbands! I love all of them! I especially love The Leni Jane in Turquoise!! I love Navy Pearl! So happy to see that this is the giveaway!!! beautiful - I'm lovin' it! I love Navy Perl!Their headbands are so cute! My sister in law introduced them to me and I have posted about them on my style blog! Oh I hope I win! Thanks Navy Perl! I love Navy Perl! SO CUTE!! Oh my heck! I LOVE them! Navy Perl is A.MAZ.ING! I love the Solo White and Black Lace! I love any of the Leni Jane's! COOL COOL! I love the Solo in Shiny Green or Turquoise...so pretty!! Thank you! i want to win this one! The website link you listed looks like it was broken, but I visited the blog and all the styles were super cute! I need to go find this site though...my daughter is in love w/headbands right now! Oh wow! These are so darling! My fav is the Solo Turquoise one! I love LOVE love Navy Perl! I think I need that to go nicely with my little tan that I have going on ;) It's so beautiful! i love their headbands! beautiful! i think i might have found something to add to my "must have" list. i love the black flower on the black headband. so versatile and cute! Love Navy Perl! Thanks for doing a giveaway...my fingers are officially crossed! The leopard print headband is so darling! These are so cute! I love the solo zebra or solo slate. Those are so cute...I love them!!!! The Solo and the leni jane turquoise. I LOVE these headbands! Definitely my fave new summer accessory! 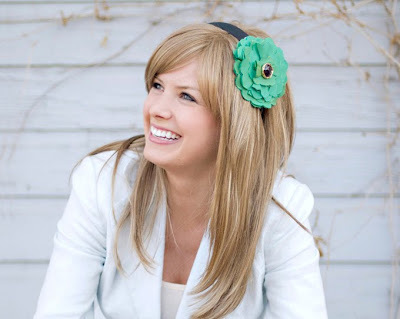 their site wouldn't load for me, but i checked out the blog and love the headband in the journey photoshoot!!! Emmerth, ith me, Ally! Your blog is so darling! I will now be a devout follower. Gorgeous headbands! My fav is the Tunsis Gray. absolutely LOVE navyperl! i tell everyone about you! my favorite is tunsis green but LOVE them all. can't wait til the winter headbands come out! I love headbands and Navyperl makes amazing ones. I hope I win! Those are so nice most headbands i find are for little girls, these would work for any age. Love the bridal ones. I am not getting married but I am sure I could find a good reason to rock them.